Asset Recovery - Martin Kenney & Co. Most complex fraud cases are now transnational in nature, with fraudsters seeking to launder the proceeds of their deception through numerous bank accounts held by different corporate vehicles, linked in turn to bogus transactions and the purchase of assets (such as real estate, yachts, art and aircraft). In response, our team of lawyers and investigators is able to mount asset recovery campaigns worldwide to “follow the money”, returning wealth to its rightful owners. Where necessary, we are assisted by our international sister network of asset recovery lawyers, ICC FraudNet, giving us a truly global reach. A key part of the asset recovery campaign involves obtaining discovery orders (to attribute the ownership of particular assets) and freezing orders to help seize the assets discovered. Discovery orders may be served on banks and in particular correspondent clearing banks to help in the asset tracing process. Often these interim remedies will be obtained in secret, subject to sealing and gagging/anti-tip-off injunctions. Similarly, insolvency remedies may well be applied, to allow for recognition of overseas insolvency officeholders, granting us power to act on the officeholders’ behalf. 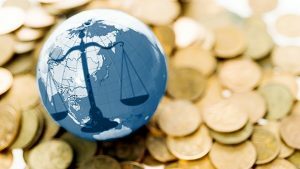 As global asset recovery lawyers, we are experienced in managing the continental “civil” European system, and derivatives of it, which differs markedly from the Anglo-Saxon common law system, with its emphasis on pre-trial discovery. We are assisted in our work by our colleagues at ICC FraudNet, the elite network of asset tracing and recovery lawyers which Martin Kenney co-founded.